Long before the invention of coins, the earliest written legal codes take for granted the existence of commodity money that served both as a medium for paying fines and compensation and as a unit of account and standard of value assessing such penalties. The rules throughout the Sumerian “Code” of Ur-Nammu , c. 2100–2050 BC. 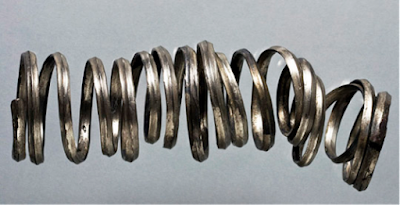 (about 1400 years before the invention of coinage), show us that standard weights of silver were being used as a unit of account and the actual medium of payment: the code specifically requires defendants adjudged guilty to “weigh and deliver” the specified weight of silver. Over half of the extant rules specify fine or damage payments in silver. The single rule specifying a silver payment that allows an alternative medium to be used calls it out as such: it specifies “he shall bring [a slave woman], if he has no slave woman, he shall instead weigh and deliver 10 shekels of silver; if he has no silver, he shall give him whatever of value he has.” (Law 24). A medium for paying fines and damages implies that the recipient (for example the king for a fine, or the victim for compensation) could use that medium in further useful payments – likely for inheritance, tax, religious tithe, tribute, and exchange, among other transactions. (These transactions, and how money emerges from them, will be discussed in future posts). Indeed, the frequency with which a an intermediate good is used as a medium for paying legal penalties may serve as a useful proxy for how much value that good adds (i.e. how much in transaction costs its saves) to other transactions (including but not limited to legal penalties) involved in the circulation of that good. Institutions of blood money and compensation via standard forms of wealth for other injuries have been observed and recorded by missionaries, traders, and ethnologists in every branch of humans, including all major divisions of humans that left Africa as well as many who stayed. It is possible that this ubiquitous geographical scope reflects a shared cultural influence that is more recent than our shared ancestry in Africa (c. 70,000 BC) but prior to Columbus and Magellan. More likely, it reflects a common cultural and genetic heritage dating back to at least 70,000 BC before the exit of the ancestors of today’s Austronesian and Eurasian peoples from Africa. This is also suggested by the deep age and continuity of the shell bead tradition detailed here. 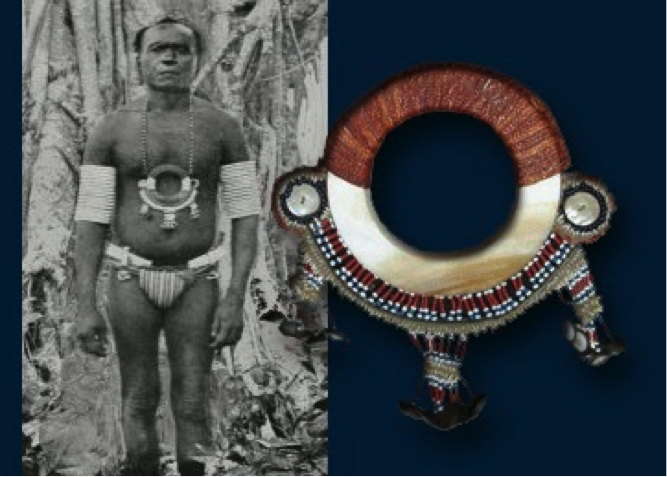 Shell beads were the predominant form of compensation money in cultures that migrated out of the African and Eurasian core before the dawn of livestock agriculture and metallurgy, to such diverse places as Melanesia and the Americas. These patterns will be laid out in detail, from descriptions derived from traveler, missionary, and ethnographic literature, in future post(s). Prior to the rise of efficient competitive markets, prices for goods were often specified by custom or law rather than negotiated. This served to conserve transaction costs in a high transaction cost culture where exchange relationships resembled bilateral monopolies more closely than they resembled spot markets. Bargaining costs were high, and indeed bargaining failure often resulted in violence and destruction rather than merely in no deal. This made focal points of negotiation, such as customary prices and customary compensation amounts for specific injuries, a quite valuable and ubiquitous part of most Neolithic and earlier cultures. When specified by law, these rules setting prices were often intermingled with laws specifying legal penalties and used the same set of units: in the Mesopotamian and Anatolian law codes prior to coinage, most commonly weights of silver and volumes of barley. One can also think blood-money-type fixed damages (compensation) and fines as customary prices for injuries. As with customary prices for goods, customary prices for injuries conserved on the transaction costs of bilateral monopoly negotiations, in this case negotiations to settle legal disputes. Today this is solved, to the extent it is, by each side predicting what damages or punishments they expect a court to assess, and negotiating accordingly. In Northern Europe, blood money and other compensation for injury was known as “wergeld”. If the guilty party didn't have the money on hand, they needed a money-lender. There was very little change between the Old Hittite Laws of (c. 1600 BC) and the New Hittite Laws (c. 1200 BC). But between then and the Roman Twelve Tables (c. 400BC) there was a radical shift away from fixed fees and towards variable damages, assessed by judge or jury. This evolution was coincident with the rise of coinage, probably due to the shift of trade in a wide variety of goods away from bilateral and hierarchical relationships and towards competitive marketplaces. 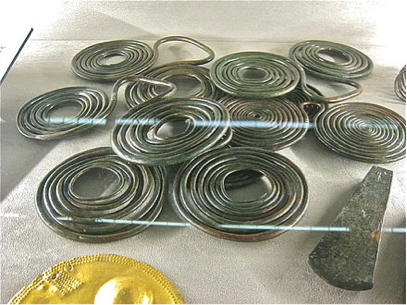 Market deals were facilitated by being able to transfer metal in branded form (coins) instead of the cutting and weighing of coils or hack-silver or the laborious counting of shells (or error-prone approximations by length) which had dominated exchange up to that time. The lowering of negotiation costs by marketplaces, coins, and other developments substantially decreased the use of customary prices in favor of prices negotiated in a market. This is the first of at least two posts on the evolution of collectibles and money. 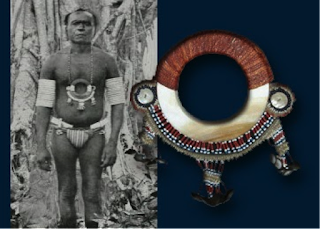 The goal is to explore the evolutionary and economic functions of the “ornamental” or “ceremonial” objects that are so common in the archaeological record. 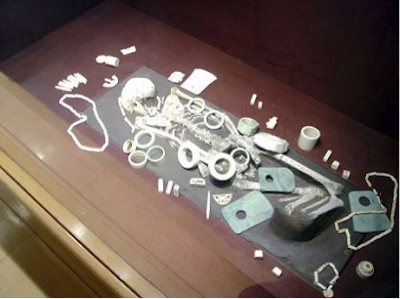 In this article, we will look broadly and visually at the patterns of evolution of artifacts, in terms of their material and visual characteristics, of the most common kinds of collectibles -- those objects that look to our modern eyes like jewelry.